Joo continues to see Ryo. He takes her on fancy dates – restaurant and movies. But her mind is constantly going back to all the simple and yet enjoyable things she did with Seua. Seua is still going on a jealousy spree. He goes as far as to tell Ryo that he needs to back up because Joo is his girlfriend. Possessive much. Seua doesn’t stop there and even throws a few punches. I have to say that this scene is the one that made me totally dislike Ryo. I found him not trustworthy since the beginning and he just showed his true colors. Ryo reminds Seua that he’s only “a temple boy” – meaning he [Ryo] has more money and a better social status. That was just so low SMH. Joo should have let Seua punch Ryo to his heart’s content 😈. 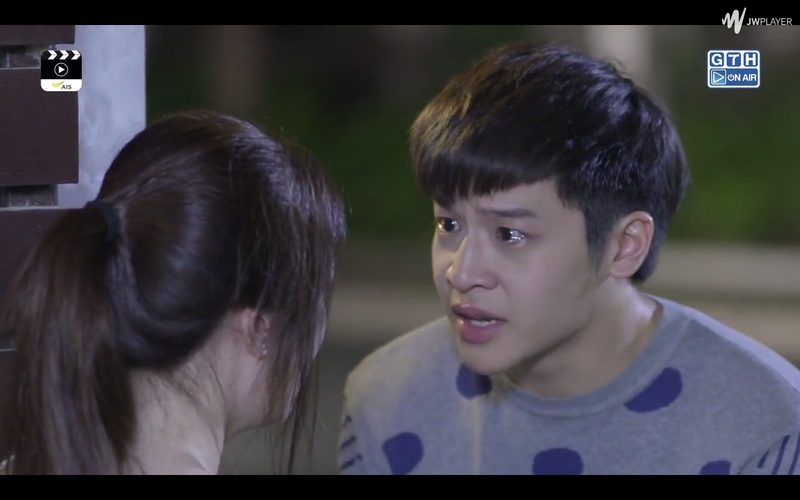 The situation escalates and leads to a big argument between Joo and Seua. The latter questions Joo about her going out on dates with Ryo. Joo answers that she is free to do so since there is nothing between Seua and her. Seua insists that she shouldn’t be saying that after all they’ve been through. TRUE TRUE TRUE. Joo keeps lying to herself. Seua asks if Joo would be alright with him taking another girl out. Her answer: Yes. Seua says that alright. It’s clear that Joo has been treating him like an option the all time but he can’t do that. He also wants Joo to admit that her going out with Ryo is because he can buy her everything and anything. Ehh, he went a little far with this one. We know our Joo isn’t like that. Seua adds that she’s like other girls – obsessed with men and their money. 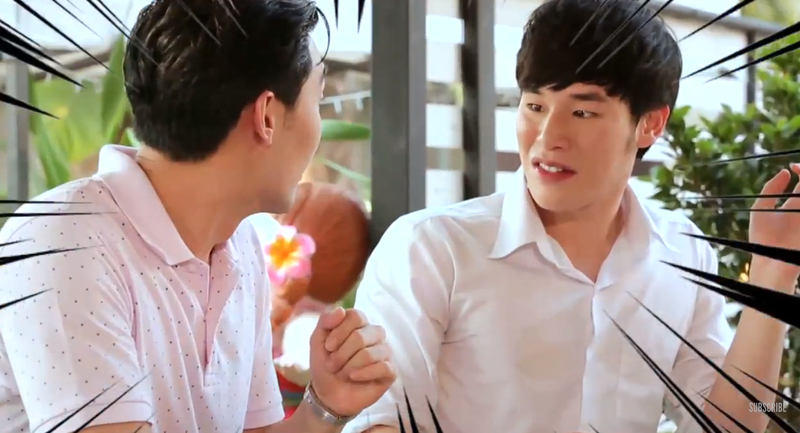 Joo is still not accepting Seua’s feelings despite him trying so hard. Seua uses every trick possible to spend extra time with Joo. The best example is Seua staying over at Joo’s because of the rain. He makes himself comfortable, takes a shower and even spends the night over. I thoroughly enjoyed seeing Push in the cute little PJ dress. So tight and so cute at the same time! Cute thing Seua does for Joo in this episode: He sets up a little camping area just for them. They both can gaze at the sky in the perfect setting. Seua also deserves a high five for being so straight forward. He clearly doesn’t have time for nonsense. He clearly tells Joo: I like you. Her response annoyed me so much: She rejects him!!! Seriously why???! I can’t even. Deep down, the confession makes Joo happy but I still don’t understand why she rejects him, especially since we all know she likes him too. Well, actually I do. Having all the zits on her face made Joo lose her confidence. It’s almost like she feels she’s not pretty or good enough to be in a relationship. That’s my understanding of the situation. Part of me understands how she feels. To be in a relationship, it’s extremely important to feel comfortable with yourself first. But Seua and her are just too cute together! Despite the rejection, Seua incessantly pursues Joo. I love it! Every little moment of the chase is adorable. 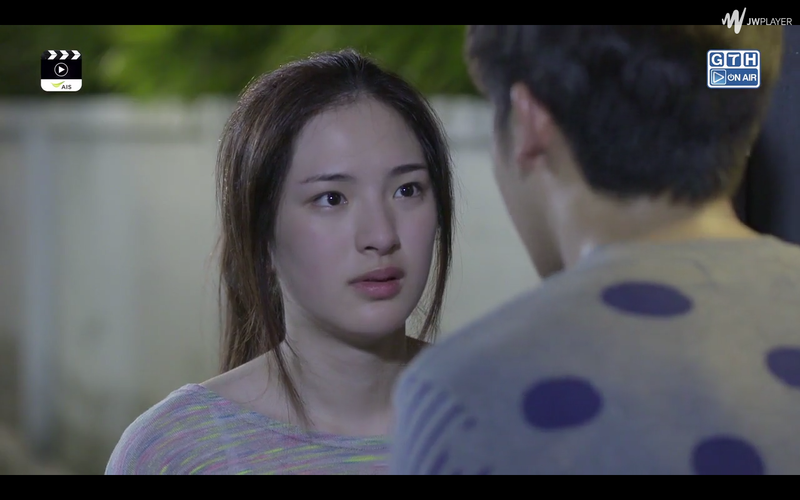 If Joo wasn’t interested it would be extremely annoying, but we all know she is so it’s cool :-D.
A cute lakorn that stole my heart! I will be making those reviews/recaps really short. Junior is a cute, rich and popular 18-year old. She basically has it all: nice family, rich boyfriend and a close group of friend. At least that’s what she thinks. Junior goes to get a thread lift to make her face smaller. I didn’t even know that was a thing -__- The only problem is that the surgery creates an allergic reaction. Junior is now left with several pimples and scars on her face. The makeup artist did an amazing job at making those so realistic. Much respect. It starts where we left off last week. Mhog calls Win’s name. He is genuinely happy to see Win and invites him inside. In Mhog’s room, Win notices several pictures. All the faces are familiar. He especially stares at Kwan’s picture. Win and Mhog catch up. 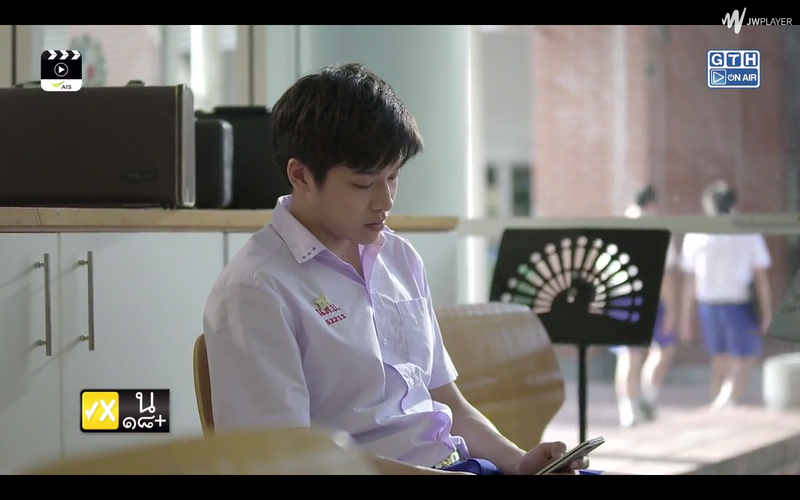 Win was sent abroad by his father and now he is planning on returning to school. Mhog asks if it’s a good idea. Win answers yes. What Win is worried about is if Tar is still mad at him.